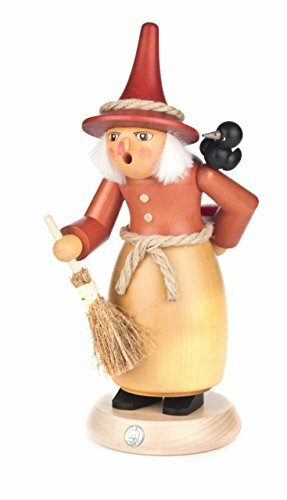 German Smoker Witch for Halloween, Christmas or Walpurgisnacht! 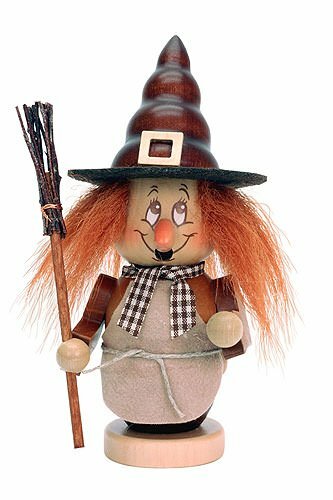 Home German Halloween German Smoker Witch- Fun Decoration for Halloween and Walpurgisnacht! 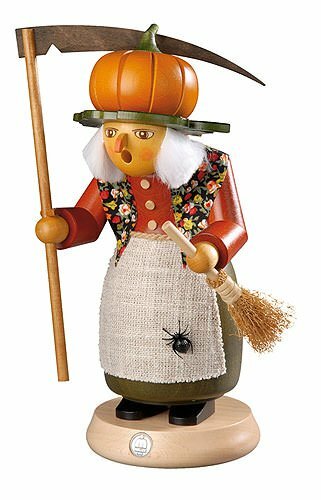 German Smoker Witch- Fun Decoration for Halloween and Walpurgisnacht! 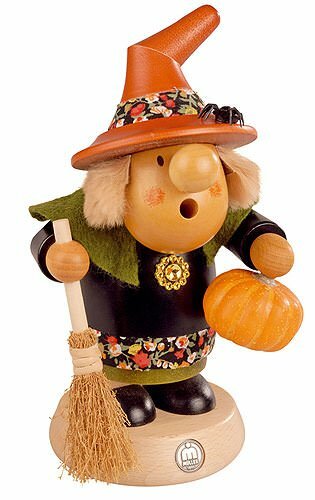 A German Smoker Witch is a fantastic decoration for Halloween, Christmas or even Walpurgisnacht! 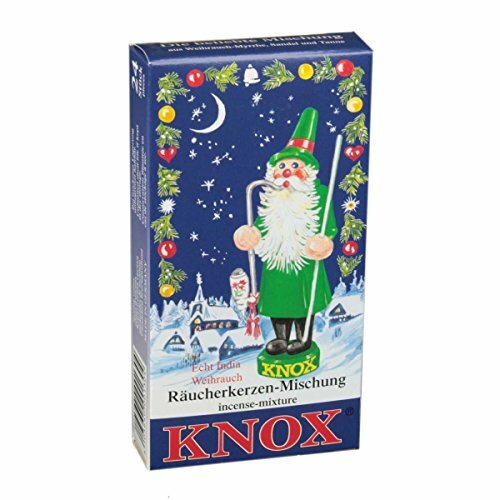 I know, we associate Räuchermannchen with Christmas… usually they are Santas or Woodsmen…. 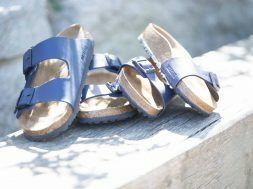 But, since they are really just decorative incense burners or smokers, it seems perfectly logical that you could use them for other celebrations. What child wouldn’t love watching at a smoking witch? Or a witch with a bubbly cauldron? 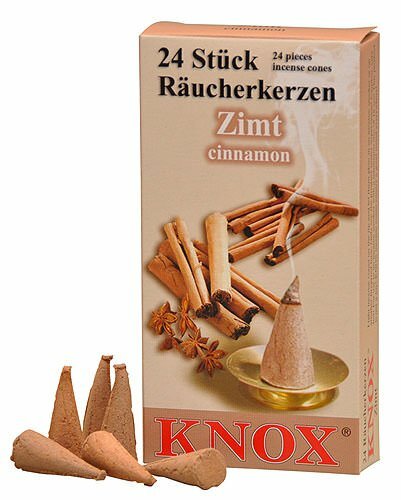 And since the incense comes in different scents, you could easily find incense cones to match the appropriate season. 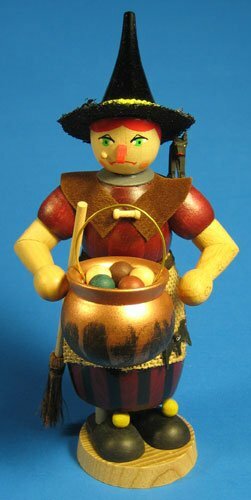 A German Smoker Witch works just like a regular German Smoker Incense Burner. 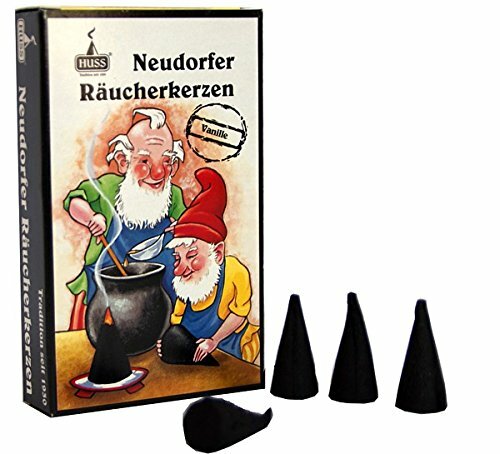 These hand carved wooden German smoker figures open up so you can put a small cone of incense on a metal plate inside it. Light the cone, and put the burner back together…. 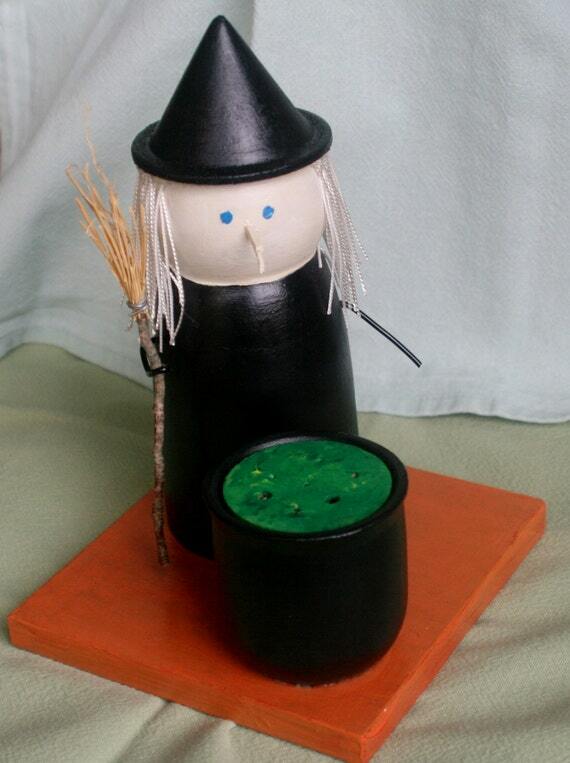 Sweet smelling smoke will come out of holes in the witch… generally from her mouth or pipe. 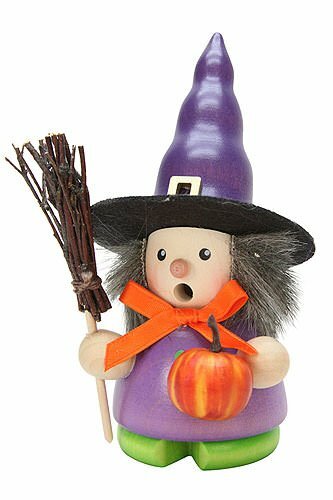 I love the details on some of these witches… they have cats or birds with them, some carry a cauldron, and all have a real straw broom and look ready to zoom off into the night! These are not “toys”… so they aren’t something you would give a child to play with HOWEVER Kids do love watching them. 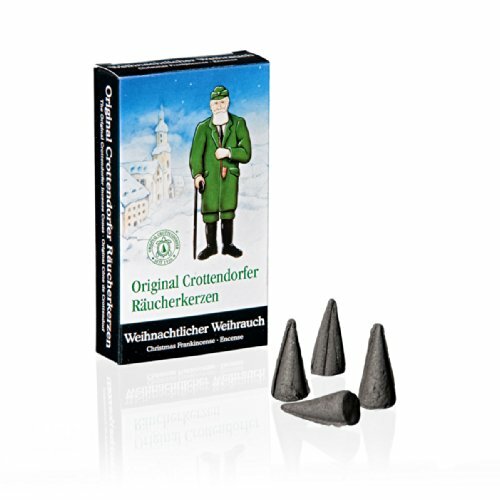 The smokers are not very big… and they can get quite expensive… but remember, these are hand-made from the Erzgebirge! Not just decorations that you buy, use once and toss into a box or throw away. 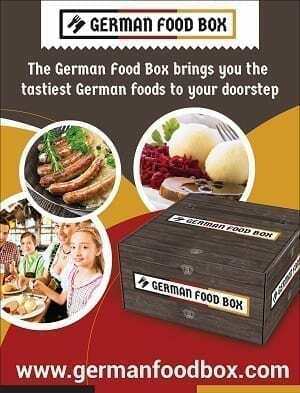 German Smokers are collectible, and for many families, they become heirlooms. 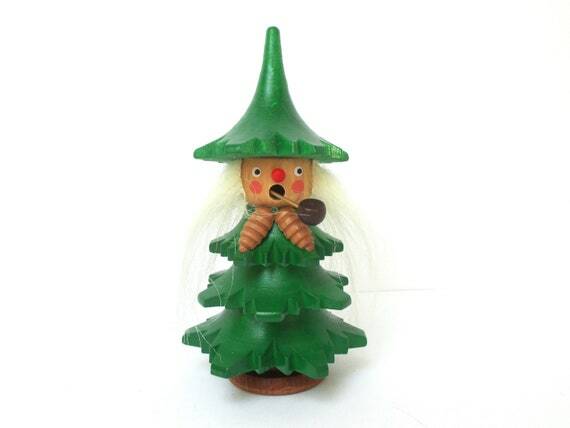 If you love German Smokers & Incense Burners, take a look at this collection of German Smoker Witches! Don’t forget the incense! And with scents like Honey, Gingerbread and CHOCOLATE, you can really bring on the fall season. 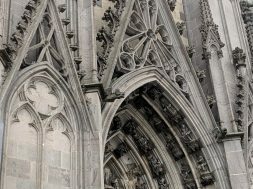 What Is Walpurgisnacht? And How did An English Nun Become Associated with Witches? Do they Celebrate Halloween in Germany?